Celebrate the end of 2017 and bring in a new year with an exciting New Years Eve 'Great Gatsby' dinner at the restaurant Marty @ Oakdene. This dinner will feature a banquet style feast of 8 decadent courses of European inspired cuisine with a selection of wine and cocktails. Beginning at 7pm and finishing just after 12pm with a final glass of sparkling. Bookings are essential and full payment is required to confirm bookings. To book please call 03 5255 1255 or email restaurant@oakdene.com.au. 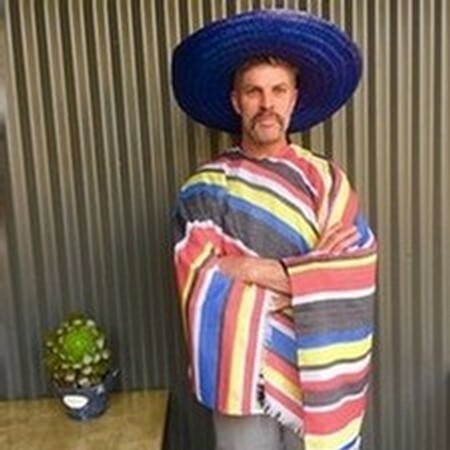 Mr Grubb is off to Mexico in October, with a Slow Roast Chipotle Spiced Black Angus Beef Brisket. This delicious brisket will be served with Mexican Spiced Black Bean Stew, Savoury Paprika, Corn & Cumin Spiced Rice along with Chimichurri, Tomato & Corn Salsa. Dessert is a mouth watering Tequila & Cinnamon Soaked Pineapple Cake with Dulce de Leche & Whipped Cream. This is a ‘First in Best Dressed Deal’ as numbers are limited. Note: All your menu favourites will still be available from the Mr Grubb a la carte menu. With the festive season fast approaching, Oakdene is the perfect venue to hold your corporate and Christmas event. Set on rustic coastal farmland, Oakdene is the ideal location situated only 20 minutes from Geelong. It’s these features, along with our award-winning wine and excellent customer service, that makes Oakdene the perfect venue. We hope to welcome you to Oakdene for your special event. A deposit of $100 is required to secure the booking. 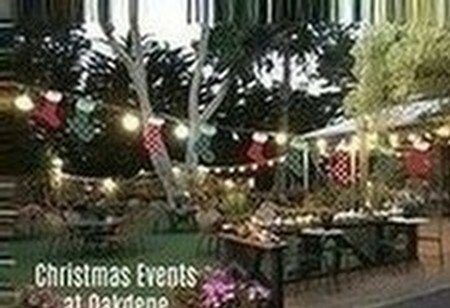 For all Marty @ Oakdene Christmas function enquiries, please contact our events manager on (03) 5255 1255 or email events@oakdene.com.au. Mr Grubb's Christmas Menu is the perfect way to celebrate the festive season, be it with family, friends or work colleagues, it represents great choice and value for everyone. This Christmas Menu is available for lunch or dinner through December for groups of 10 people and over. A deposit of $100 is required to secure the booking. For all Mr Grubb Christmas function enquiries, please contact call (03) 5255 1255 or email mrgrubboakdene@oakdene.com.au. 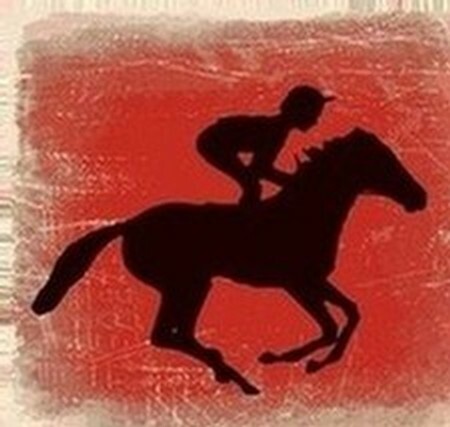 Celebrate Melbourne Cup Day with fabulous food, fashion and fillies in the Oakdene restaurant garden. Enjoy the carnival atmosphere of Race Day in the restaurant and garden marquee and watch the excitement unfold at Flemington. Dress in your race day finest to be in the running to win Best Dressed on the day. A selection of wandering decadent canapes will be served throughout the day to tantalise the tastebuds including all the fantastic signature Melbourne Cup dishes from the Chef’s table prepared by our award winning kitchen brigade. Bookings are essential & full payment is required to secure your table. To book, please call (03) 5255 1255 or email restaurant@oakdene.com.au. Three unique Bellarine restaurants have joined forces and are set to stage another Taste n Travel Triangle, a progressive mystery dinner on Friday the 13th of October. Limited to just 20 patrons per venue, the collaborative epicurean adventure will entail Entrée, Main and Dessert, each enjoyed at a different restaurant. Between each course, a shuttle bus will transfer patrons between The Bungalow in Drysdale, Marty @ Oakdene in Wallington and Flying Brick Cider House, also in Wallington. At each venue, patrons will be indulged with a choice of two culinary offerings for each course. Cost per person for this fun and most fabulous evening is $80, including shuttle bus transfer. Drinks at bar prices. The evening will be complete with return shuttle back to where you booked, ate entree and started! Bookings are essential and payment is required up front to secure your booking. To book please call (03) 5255 1255 or email restaurant@oakdene.com.au. 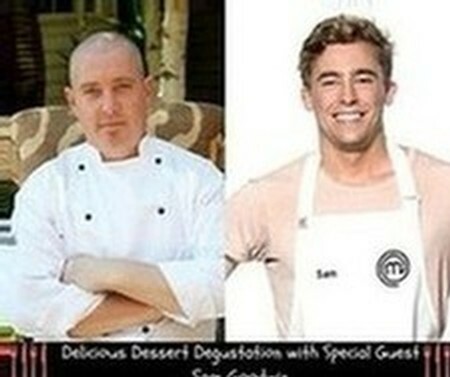 Marty and his award winning restaurant team, proudly invite you to yet another delightfully memorable dining experience – a ‘Dessert Degustation Dinner’ with special guest Sam Goodwin (as seen on MasterChef Australia 2017). This dinner will feature 5 delicious dessert courses (both savoury and sweet) designed by one of this year’s most popular MasterChef contestants, Sam Goodwin who hails from Ocean Grove. Sam is an easy-going, down-to-earth guy who has a special knack for desserts and considers food to be the centrepiece of all family celebrations. Sam is a lover of ‘dude food’ and aspires to open his own casual café in Ocean Grove. Sam will be working alongside Marty and the fantastic Oakdene team to showcase variations of dishes and techniques he learned during his time on the MasterChef set. This event will be extremely popular and one not to be missed, so please ensure you reserve your seats now! Bookings are essential & full payment is required to secure your table. To book, please call (03) 5255 1255 or email restaurant@oakdene.com.au. Carrying on the winter warmer roast month for September, we are heading to Malaysia with a slow cooked lamb leg. Roasted with a blend of kaffir lime, garlic, a hint of chilli & Malaysian herbs & served with the usual trimmings. Dessert this month is banana & palm sugar rice pudding. Mr Grubb’s monthly madness continues with $1 oysters returning due to popular demand. Served with a range of condiments, these freshly shucked Tasmanian oysters are just too good to pass up. Order as many as you dare! Only available with the purchase of a main course. Spoil Dad this Fathers Day! 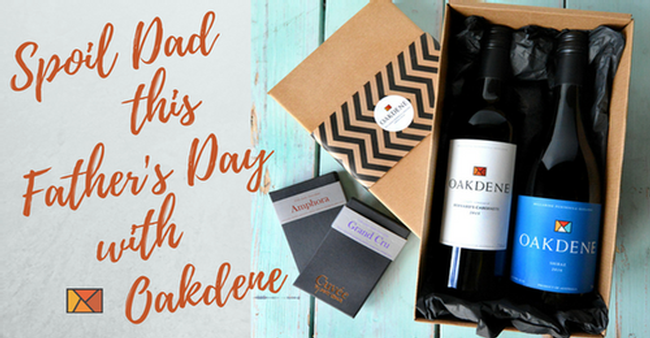 Father’s Day is only around the corner and we have put together a special 'Oakdene RED Wine & Cuvee Chocolate Pack’ which sure to make Dads day. Spoil him with our special pack which includes one bottle of Oakdene 2015 Bernard’s Cabernet, matched with Cuvee Chocolate, 70gm - Amphora (65% Cocoa) and one bottle of Oakdene 2016 Bellarine Peninsula Shiraz matched with Cuvee Chocolate, 70gm - Grand Cru (75% Cocoa), all packed in a gift box. For only $80,this delicious treat is available from our Cellar Door and website right through until the big day,* don’t let Dad miss out! We are thrilled that our very own Oakdene 2016 Jessica Sauvignon has tonight taken out the top place in its category at the Halliday Australian Wine Companion Awards! 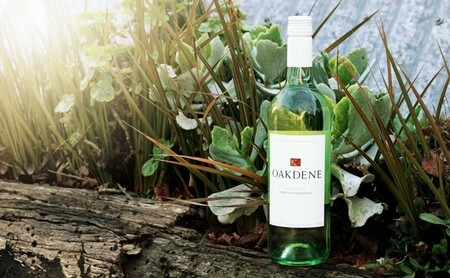 The wine was named Best Sauvignon Blanc and awarded 96 points. These awards coincide with the release of the latest edition (2018) of the influential manual, James Halliday’s’ definitive guide to Australian Wine. First produced in 2008 from our 5 acre Sauvignon Blanc parcel planted in 2002. Jessica Sauvignon was considered a project wine with the aim of producing an alternate style to the fruit driven Sauvignon Blanc gaining a strong foothold in the market. The 2016 Jessica Single Vineyard Sauvignon, benefited from a slightly warmer growing season than usual, the bouquet displays gooseberry, guava with citrus overtones and subtle barrel ferment characters. The palate is full and complex with restrained tropical fruits, vanilla and a mineral edge, leading to a creamy and rich mid palate, lively acidity and a long textural finish. A small quantity is available as a celebratory pre-release via our Cellar Door or click here to purchase direct.